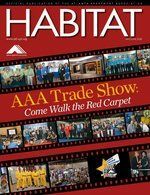 Every other month the AAA publishes and distributes the HABITAT magazine to all AAA members and their affiliated communities. 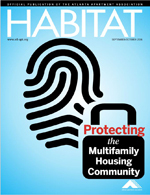 The HABITAT contains information about upcoming events, current legislative issues, education highlights and articles of interest to the multifamily housing industry. 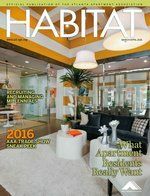 The HABITAT also contains the very popular Volunteer's Corner in the center of each magazine that shows pictures from recent events and recognizes our standout volunteer superstars. 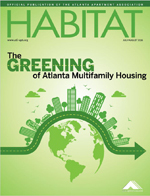 The Atlanta Apartment Association is pleased to announce our new partnership with Naylor Association Solutions, as our official integrated media communication partner producing the HABITAT magazine and Membership Directory! For 45 years, Naylor has helped trade associations and professional societies increase engagement, relevance and non-dues revenue through publications, online media, face-to-face events and marketing services. They currently work with more than 450 association partners across 110 industries, and have a strong track record of creating successful communications.